I went to see This Is 40 yesterday. On our way to theater SIX I noticed a woman filling up a Tupperware container full of butter flavoring. As far as I could see she DIDN’T EVEN HAVE POPCORN. Because of this incident we walked into theater THREE. 20 minutes later, Django Unchained started and I wasn’t about to get up and start another movie 15 minutes in. So that’s how I accidentally saw Django Unchained yesterday. Once it started I noticed a few things. First, holy smokes they say the N word a lot. Second, holy smokes there’s an awful lot of blood in that film. Finally, holy smokes Christoph Waltz is a fantastic actor. It may look like he has a beard in this photo but multiple times throughout the film he strokes his facial hair in order to define his mustache. It’s a real treat. This entry was posted in Movie Steesh and tagged Acting, Actor, butter, celebrities, christoph waltz, comedy, Django Unchained, entertainment, Humor, Moustache, Movie, Movies, mustache, mustaches, popcorn, this is 40, tupperware container on January 2, 2013 by Los Bulls. 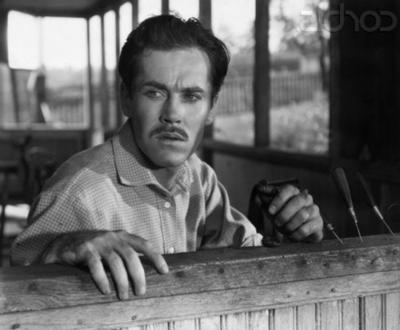 Henry Fonda was born on this date in 1905. Some of his career highlights include The Grapes of Wraith, 12 Angry Men and On Golden Pond. Some of his personal highlights include Peter and Jane. This entry was posted in Movie Steesh, R.I.P. Steesh and tagged 12 angry men, Acting, Actor, Henry Fonda, Humor, Jane Fonda, Movies, mustache, Peter Fonda on May 16, 2012 by Los Bulls. The Kutch interrupted what was to be a light and happy day on here. 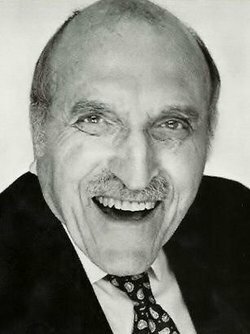 So here’s Len Lesser who played Uncle Leo on Seinfeld, and that’s just fine with me. This entry was posted in Old Man Steesh, R.I.P. Steesh, TV Steesh and tagged Acting, Actor, Len Lesser, Seinfeld, TV, Uncle Leo on May 3, 2012 by Los Bulls. 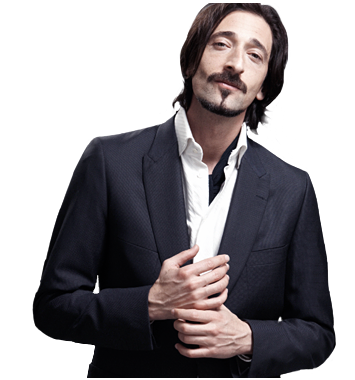 Adrien Brody joined Andre 3000 in the aforementioned Gillette commercial. It’s starting to seem like the casting director just got a list of celebrities, alphabetized by first name and knocked out the casting in 5 minutes. This entry was posted in Movie Steesh and tagged Acting, Adrien Brody, celebrities, commercial, Gillette, Humor, Moustache, Movies, mustache on April 27, 2012 by Los Bulls. 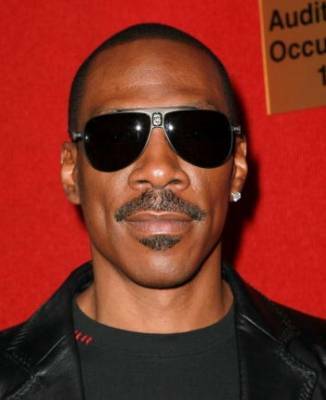 Happy Birthday to Eddie Murphy. He used to make good movies, but then he had kids and wanted to clean up his act. I can’t say I blame him, but he’s made himself pretty irrelevant to someone like myself. This entry was posted in Celebrity Steesh, Movie Steesh and tagged Acting, comedy, Eddie Murphy, Humor, Moustache, Movies, mustache on April 3, 2012 by Los Bulls.